High visibility for low-light cycling and more. 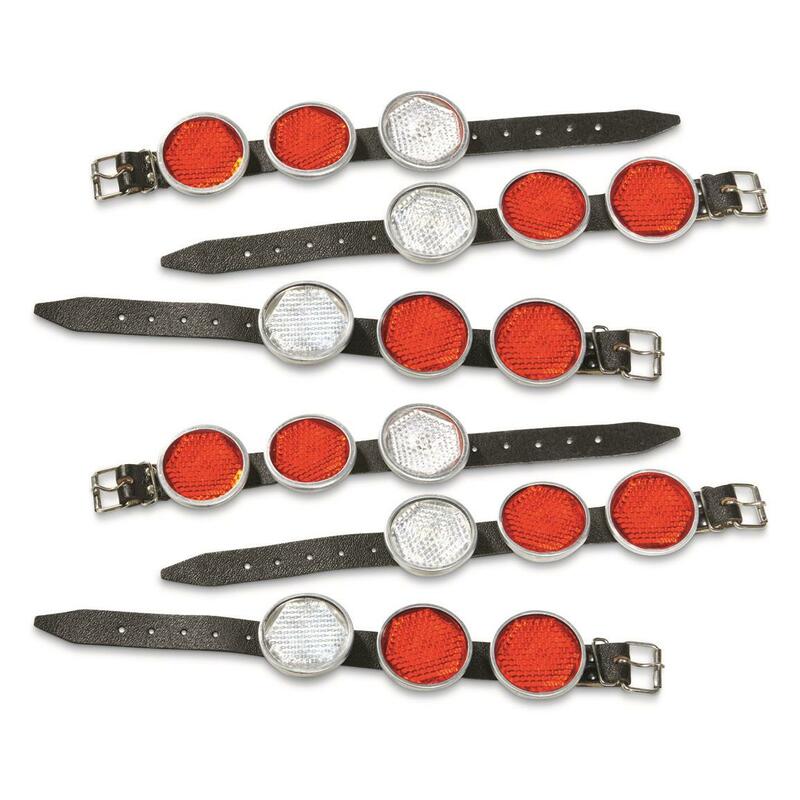 14.75" belt, each reflector is 3"d.
6 Reflector Belts, 1 low price! Be seen in the dark, fog or other hostile conditions. These Belts were designed for the East German military, intended to make quick identification of comrades easy. Each Belt quickly cinches to a leg and reflects back light using an array of 2 red and 1 white reflectors. Makes all the difference during late night or early morning bicycle rides to help drivers "share the road." 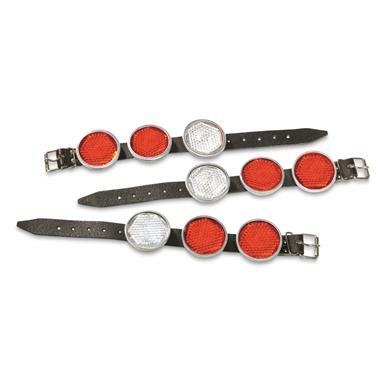 Size: 14.75" belt, each reflector is 3"d.